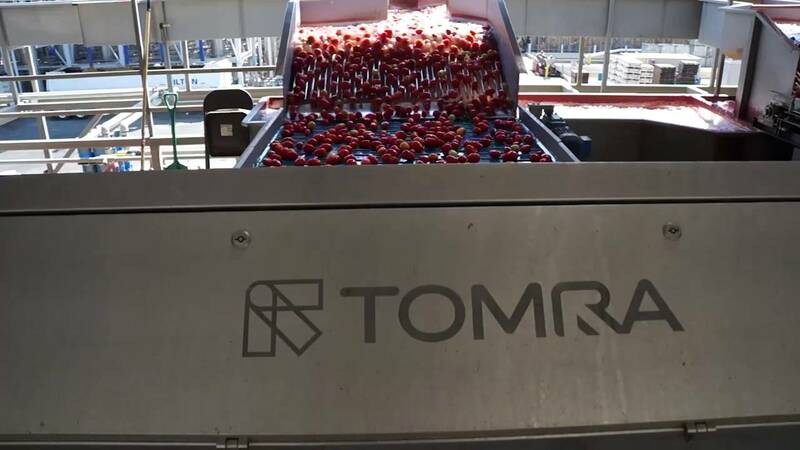 TOMRA Sorting has a solution for field run, raw receiving, pre and post peeling, diced and frozen tomatoes. 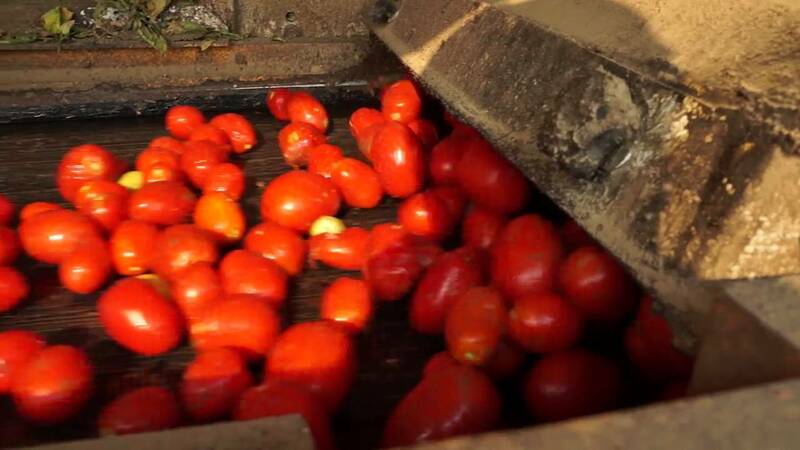 TOMRA’s tomato sorting machines detect and remove off-color, rot, mold, yellow shoulder, sunburn, breakers, under and oversize removal and all types of foreign material such as animal matter, cotton stalks, metal, plastic, stones, glass, wood etc. For peeled tomatoes TOMRA offers the above as well as peel and tag detection and removal. Removal of broken fruit is also possible. 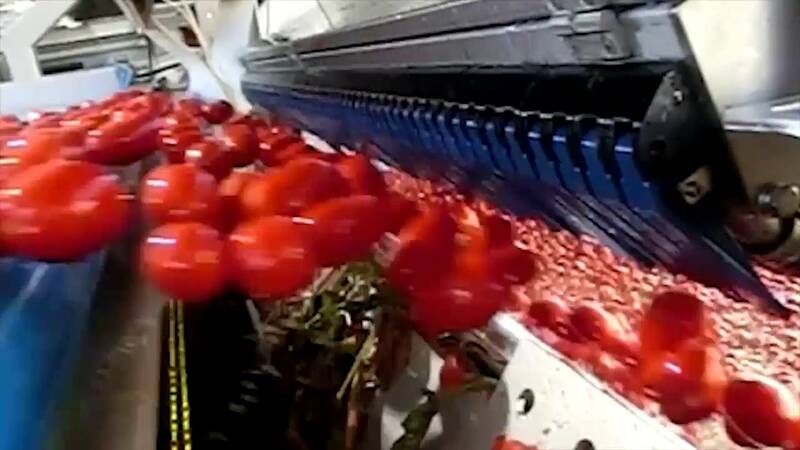 By automating its tomato processing lines with TOMRA’s NFM field sorting machines, Serkka Farms was able to increase its output enormously and watch labor cost drop dramatically. Read their story. The Iris II is a high-tech sensor based optical food sorting solution for sorting/grading diced and different food products such as pear halves, diced tomatoes and peppers. The NFM field sorting machine is a robust and reliable harvester mounted sorter which performs effective color and foreign material sorting.